I can remember my very first Nivea product, well, to be honest it wasn’t mine it was my big sisters Nivea moisturiser in a pot, the old tin pots, the ones that smelled incredible the minute you opened them. Just typing this brings back memories, sitting at her dresser dipping my fingers into her little pot of gold, hoping like hell she wouldn’t come back from school early and find me. I loved that product and even today it evokes such wonderful memories. 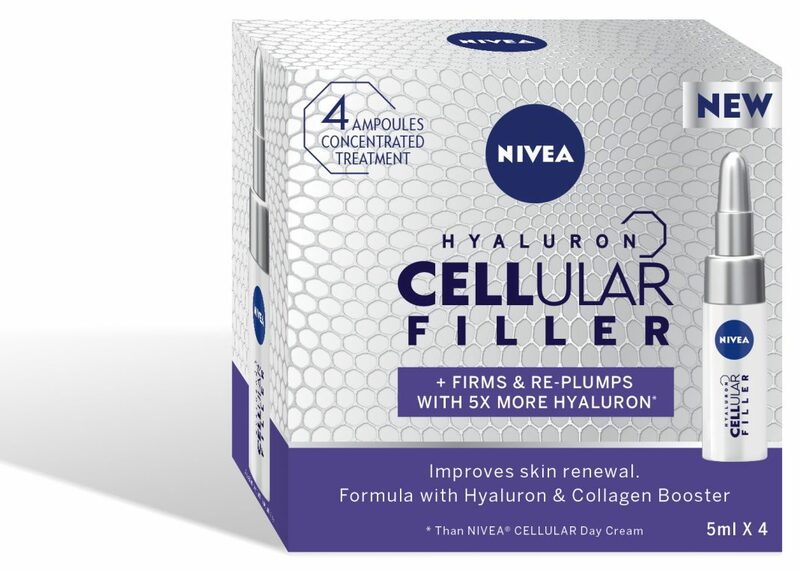 So, it’s with much delight that I get to try their new Hyaluron Cellular Filler, all these years later. That in itself is a credit to the brand, because the brand has been around for years. 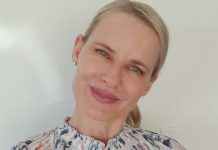 In an industry that is saturated with products all claiming to offer miracle results, Nivea has stood out from the rest and not only delivered results, but stayed try to its brand integrity. I also like the price-point, you aren’t paying a fortune for a good product. The latest product to land on my desk, the new Hyaluron Cellular Filler firms and re-plumps (this is music to my ears). Here is a bit below about the latest product from Nivea, so you can make an informed decision if this is for you. I’ve tried it, and I liked it. 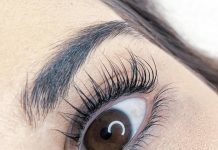 My skin felt amazing after I had applied the product – it felt smoother, softer and silky. It definitely did feel firmer and the lines looked less visible. I tied it on one side of my face to compare and you could see a noticeable difference directly after applying. If you want to try it, the single pack at $12.99 aud is a great option. highest concentration of hyaluronic acid within the NIVEA range – and improve the performance of the NIVEA Hyaluron Cellular Filler Day Cream. 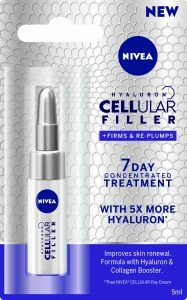 Keep skin looking younger for longer with the new NIVEA Hyaluron Cellular Filler Ampoules. and in the evening prior to the day and night cream. The ampoule is reclosable. The 4 pack offers a 28-day treatment.